Car crashes are the No. 1 killer for U.S. teens, taking an average of 11 teen lives EVERY DAY. 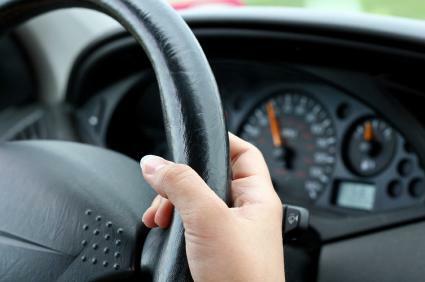 Per mile driven, teen drivers ages 16 to 19 are four times more likely than older drivers to crash. Together USA TODAY Education and the Allstate Foundation want to reverse this trend through the Allstate Foundation Safe Driving Program. Teens listen to other teens. So when it comes to influencing young people to adopt safer driving habits, there’s no more effective voice than teens talking to their peers. That’s why the Allstate Foundation and USA TODAY Charitable Foundation created T2T: Terminate Texting. T2T: Terminate Texting is a project-based learning experience designed to guide high school students in building and implementing a marketing plan that will influence their peers to stop texting while driving and start adopting safer driving habits. A classroom set of USA TODAY newspapers to be used in conjunction with the project and to enhance other curricular needs. Competition: classrooms compete to design the most effective peer-to-peer safe driving marketing campaign. Contest winners will be announced by May 4 on this site. Are you a New Jersey teacher who wants to be a part of this free program? Oftentimes teens don’t feel like their opinions are heard. But when it comes to teen safe driving, peers, teachers, parents, and government officials need to listen up. Words Steer Change, created by the Allstate Foundation and USA TODAY Charitable Foundation, gives teens the skills and the opportunity to voice their opinions on this important topic. Words Steer Change asks high school students to research the critical issues in teen driving, identify key aspects of an effective letter to the editor using USA TODAY, and then write and submit their own letter to the editor to their local or school newspaper on the topic of safe teen driving. Contest: students compete to write the most effective letter to the editor on the topic of safe teen driving. The winner of the Words Steer Change Letter-to-the-Editor Competition will receive a Kindle Fire and an invitation to a VIP “Day at the Capitol” in Madison, Wisconsin. The Day at the Capitol includes transportation, lunch and visits with Wisconsin lawmakers and officials.